I know I've blogged previously about Philippe Tournaire's jewelry, but I feel the need to do so again. Because guess what? He's added to the fantastic Architecture collection. 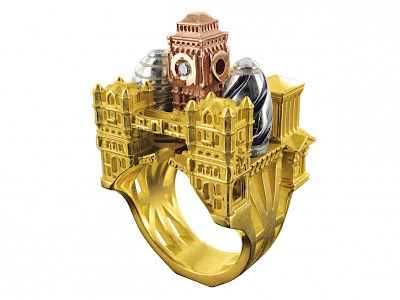 With the newest additions, you can wear a mini London, an upside-down Eiffel Tower, or a little Leaning Tower of Pisa. I'm so adding several of these to my wishlist for whenever I strike it rich. Via If It's Hip, It's Here (or, in this case, here, here, and here).